Our 14 oz. 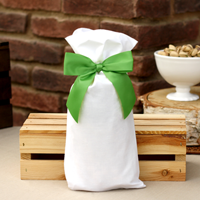 bag of Roasted & Salted Pistachios comes in in a customziable white holiday bag. We can apply your logo, a saying, or an image directly on the bag to use for corporate gift giving.